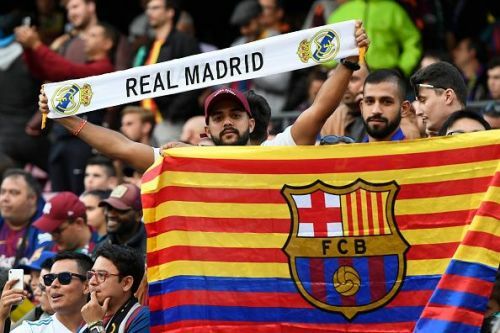 The highly-anticipated El Clasico, a battle between Barcelona and Real Madrid, is set to grace our screens this Sunday. Since 2009, with Ronaldo's move from Manchester United to Real Madrid the game has set the stage for two of the greatest players in football, Lionel Messi and Cristiano Ronaldo, to go head-to-head in a masterclass showdown. However, Messi had already featured in the high-voltage fixture before the arrival of Ronaldo in Spain, his first El Clasico was in 2005. However, Ronaldo's surprise departure from the Bernabeu this summer has concluded the longstanding El Clasico rivalry between the two players. The Portuguese ace left Real Madrid to join Serie A side Juventus in a €117m deal. Messi will also not be featuring in Sunday's El Clasico owing to an injury he picked up during Barcelona's 4-2 victory over Sevilla last Saturday. After a goal and an assist, the Argentine ace fell and landed on his right arm, resulting in his injury. Barcelona has confirmed that Messi will face a recovery spell of at least three weeks. Therefore, this will be the first El Clasico without Ronaldo or Messi in a decade. It appears the El Clasico showdown has been favorable to Lionel Messi over the years as the Argentine ace has won the game 17 times out of 38. This means the Barcelona captain has lost twelve times and drawn on nine occasions. Cristiano Ronaldo, on the other hand, has tasted about half of Messi's success when it comes to El Clasico victories. The Portuguese has only won 8 out of 30 fixtures, losing 14 games and drawing on eight occasions. 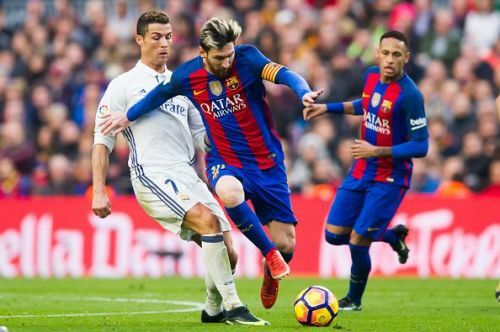 Despite Messi having played in more El Clasico games than Ronaldo, his win percentage (44.7%) is still higher than that of Ronaldo's (26.7%).